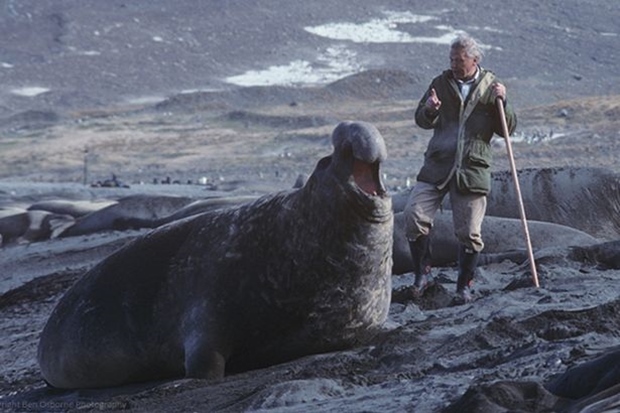 Sir David Attenborough is a living legend. He harks back from the world of nature conservation and stands at the forefront of the collective psyche, in his home country and overseas! He is one of those rare and endearing national treasures whom we wish would be bestowed the gift of immortality by a nature faerie! His passion for the natural world is infectious and we can only bow to his skill and savoir-faire in delving right into the depth of his knowledge base to bring out the right dosage of scientific knowledge which he then effortlessly distills out like with a pipette, translated in plain English to a broad and loyal TV audience, in long wondrous sentences that all to themselves have educated at least a couple of generations of kids outside of school. 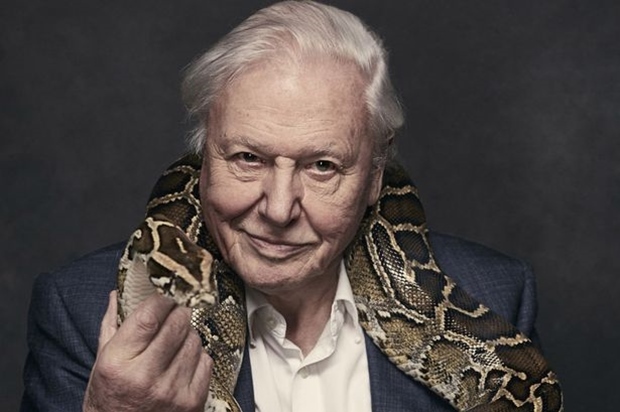 Sir David has made a resounding success out of his fascinating science-laced story-telling set against high-quality visuals and that makes him, in my mind, the best nature documentary broadcaster ever! I have never come across one single piece of criticism towards the gentleman and that proves something. He is respected in his circles and beyond. He is an institution of fascinating science dissemination all to himself and a pillar of society who thrives by introducing us to nature with a childlike twinkle of awe in the eye. A plethora of members of the wild order have been named after him, as a sign of recognition and honour for his invaluable contribution to wildlife. 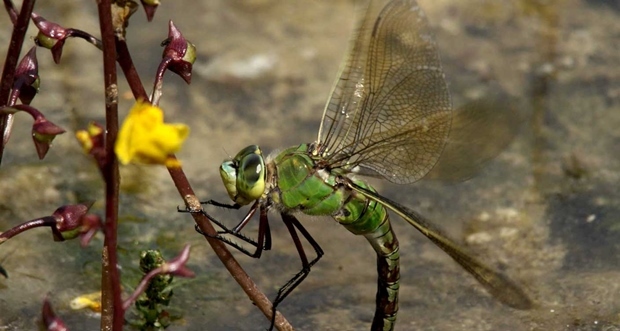 This includes a dragonfly from Madagascar, and also a wingless beetle, a tiny spider, an ancient pygmy locust, a ghost shrimp, plesiosaurs (prehistoric creatures), a pitcher plant, a daisy, and the Sirdavidia genus! And as further homage to his worthwhile contribution to the United Kingdom, he was knighted by Her Majesty the Queen in 1985. The high number of awards and honorary degrees he has 'collected' along the years matches the uniqueness of the man. This is no fly-on-the-wall haphazard camera phone moment. You are talking the Deluxe package of well-researched, well-documented, budgeted high-end productions that take weeks of preparation and filming in often remote areas of the world, in difficult weather conditions. Yet the passion of every member of the crew for the natural world permeates every second of an Attenborough documentary. It is one Heaven of an experience! The end result is a reward to their hard work: superb cinematographic views, captivating story-telling through Sir David's unmissable voice-overs, seamless montage, mastering of light and shade to their best effect, the crisp close-ups captured in their minutiae, the patient time lapses. All fuse together into a finished article of compelling delight to watch and behold! Let us note in passing a few of Sir David's royal credentials. First off, he shares the same birthday year as the Queen (1926), which makes him a cool 90 years young! Like 'Lisbeth', he is not about to retire! Thus don't let his age faze you for Sir David is not your average senior citizen! He's a picture of health and still clocks more miles in a year than the average person half his age would in their lifetime. Globe-trotting the world for wildlife's sake is second nature to him. 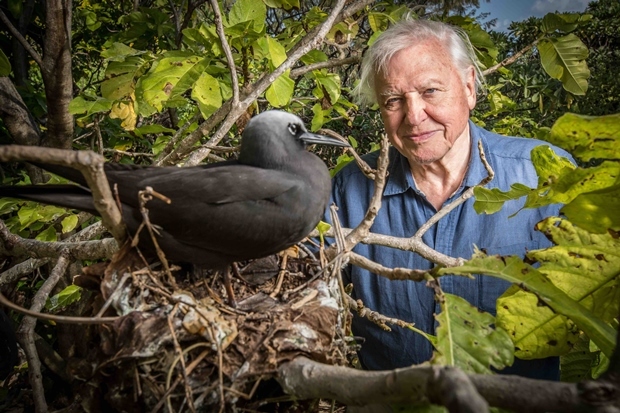 Meanwhile Sir David's anti-celebrity status makes him instantly loveable as an ordinary man who just happens to have an extraordinary life and who's old enough to be your grandad. Except this one is still hustling, having fun for a living! His positive attitude and adventurous inclination have inspired anyone with a case of wanderlust to chase the dream rather than stay stuck in the safety of some hapless job. Not everyone will make the journey though because not everyone is cut from the Attenborough cloth. And if David wasn't enough, think about his brothers' contribution to society, actor, film director and producer Richard and motor industry executive John. Sir David has wide knowledge and wisdom; he cultivates simplicity and honesty like we would garden herbs - daintily. He is no 'look-at-me' show-off. There is no ambiguity as to where he stands: nature is the star of his show, not him. It does help that he has the physical elegance to carry this through and his poised voice is instantly recognisable: he has the clear-cut elocution, the well-balanced pitch and warm tone of a classically-trained actor. The famed naturalist has had a profound impact on nature lovers like myself. He has turned the combined celebration of biology, ecology, conservation and filmography into an art form with a strong pertinent message. He cultivates a sense of humour but there is no pathos in his speech when, say, a lion kills a wildebeest because he understands nature: life out there revolves around the battle of the fittest. An enjoyable character and an incurable optimist, he casts nonetheless a critical eye on the way man has been treating the planet. He brings to our attention that since he's started working, the Earth population has trebled in size, resulting in exponentional land encroachment and loss of natural habitat. As human demography is exploding, wildlife will suffer even more severe losses. This is a man who goes beyond the format of traditional wildlife documentaries like only a well-travelled, curious, original adventurer of his calibre would. Education and creativity go hand in hand. He pushes the boundaries of curiosity and nature fascination always. For instance, The Amber Time Machine (2004), part of the Attenborough in Paradise and Other Personal Voyages series, explores the identity of creatures trapped in amber. His latest documentary to date, Life That Glows takes us on a journey through bioluminescence, light created by living things. 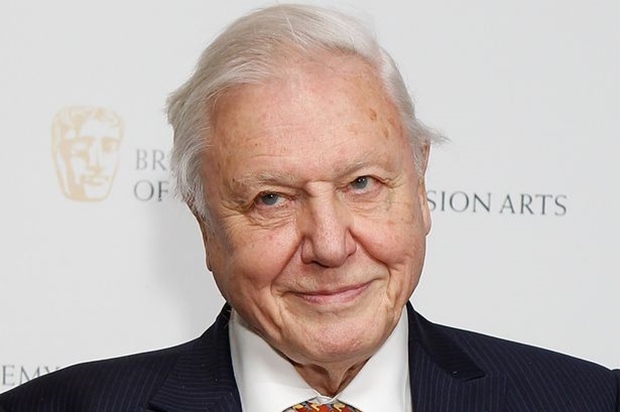 He also launched David Attenborough's Great Barrier Reef, an interactive journey. In cleverly bringing together pertinent scientific knowledge, the latest technological prowess, captivating story-telling combined with those spicy anecdotes of the natural world, not to mention an upbeat and warm personality, Sir David has made a success out of nature reporting and created by the same token a captive audience that spans wide and far. From the Royal echelons down to the inner cities, the nature presenter is a social leveller, handing out to us a tasty serving of nature at its best for us to enjoy, understand, learn from, love and respect. Long live Sir David! May your rare talent keep inspiring generations of nature lovers and may the wonder for the wild order, alongside wildlife itself, never go extinct!